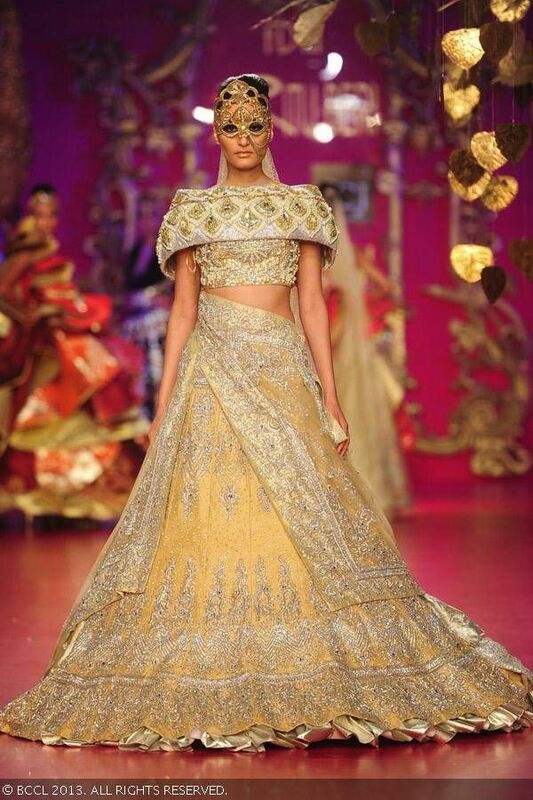 Nothing says glamorous like a Ritu Beri lehenga. For all the brides out there looking to do something utterly different and to be remembered for it, head to a Ritu Beri store. Her over-the top, princess like creations are so full of grandeur that you are sure to suffer either shock or absolute lust for her wonderful creations. She goes above and beyond what is expected and gives a new meaning to out of the box design. 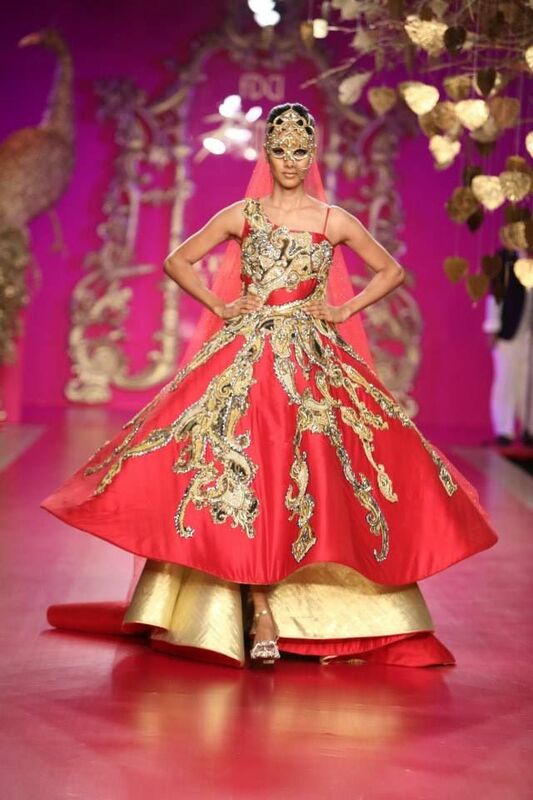 All a Ritu Beri design needs is a bride who can pull it off. 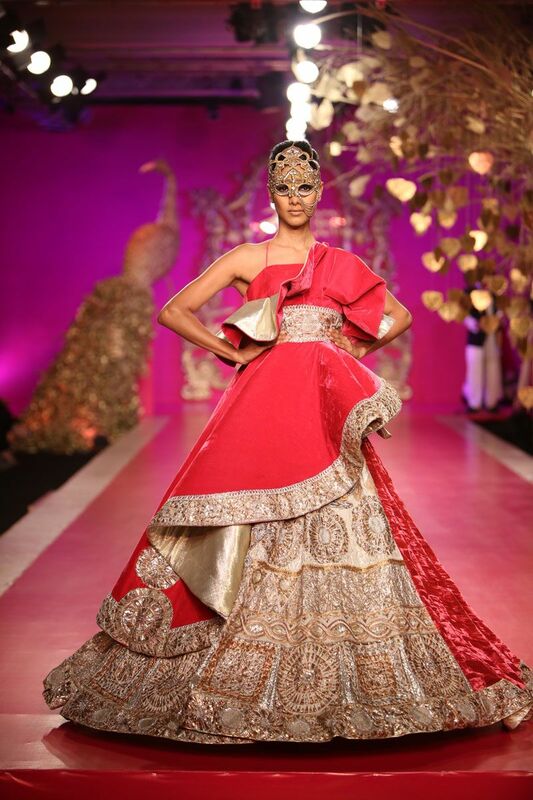 Flamboyance is the center piece of her creations and the bride who chooses a Ritu Beri should be comfortable inside one. 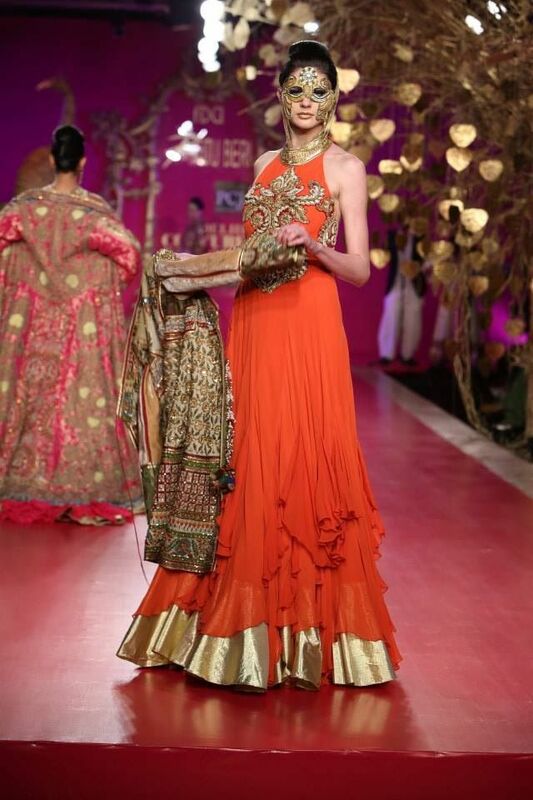 Ritu Beri’s colors are not drastically different from what can be expected in a traditional bride’s wedding trousseau. She does stick to the usual pinks, reds, oranges and deep blues which we have all seen before. She picks one of these to be her main color for her creation and spins a web of almost fantasy-like design story on her lehengas. While other designers would use gold as an element for embellishment, Ritu Beri designs for gold. 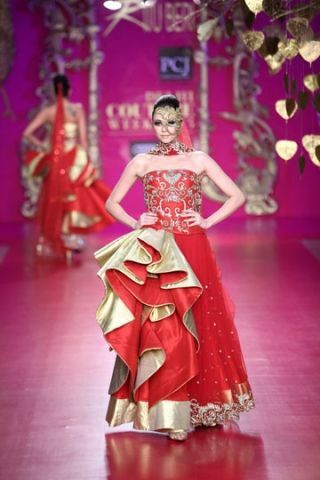 She allows it to all but take over her designs and create a power packed impression of the lehenga. 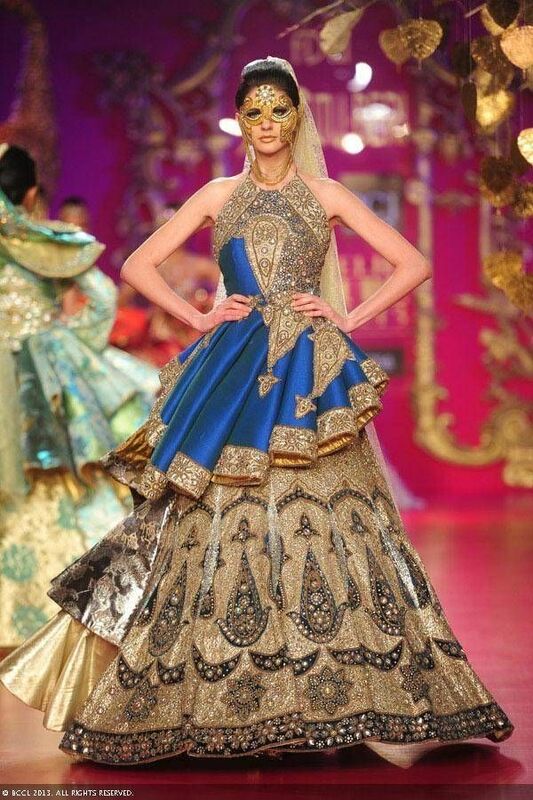 Her grandeur comes from the skirt of the lehenga. Any given Ritu Beri will have something or the other that’s interesting and different. 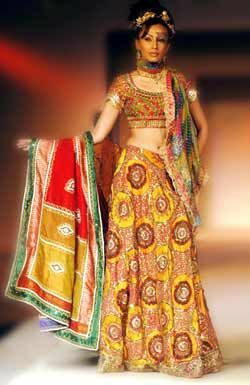 The best technique of hers that has never quite been done this way, is her layering of the ghagra. The technique reminds me of the vintage dresses worn in the west. The layers and layers of petticoats created a larger than life girth. A similar concept is followed by Ritu Beri in her effort to create a memorable piece with an enviable gher. Granted most of her hemlines are asymmetrical, they serve to create masterpieces every single time. Every designer has a quirk. One detail, one style or one little addition that they make makes their garment their true creation. For Ritu Beri, it is frills. She adds frills in the most unheard of places – mostly on the skirts of the lehengas. Not always are they unnoticeable, delicate frills like her subtle white creation. Sometimes they are the centre of attention for pieces, making sure that eyes follow them there first. 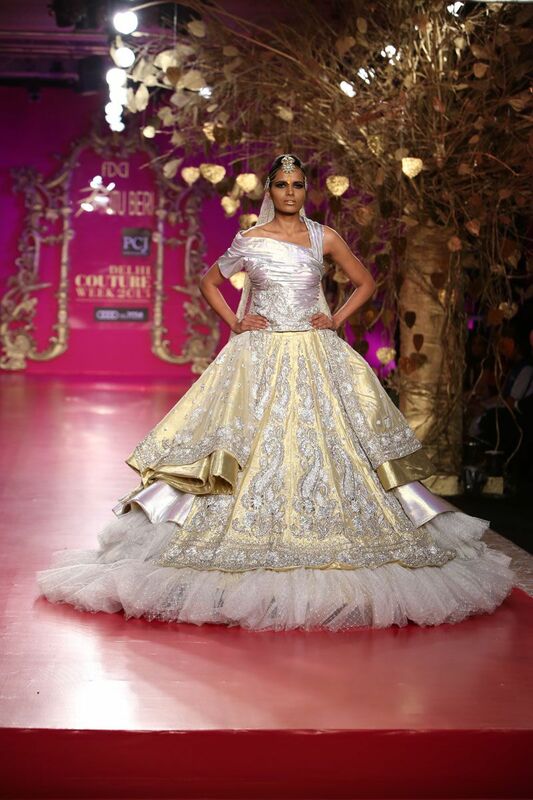 She creates a variations in her designs with giant frills which dictate the lehenga or tiny frills which add on to it. With all this going on, her cholis are mostly dwarfed. They are used mostly to complement the outfit in its entirety. No one loves designer bridal wear as much as we do. Stay tuned for all your designer fixes!